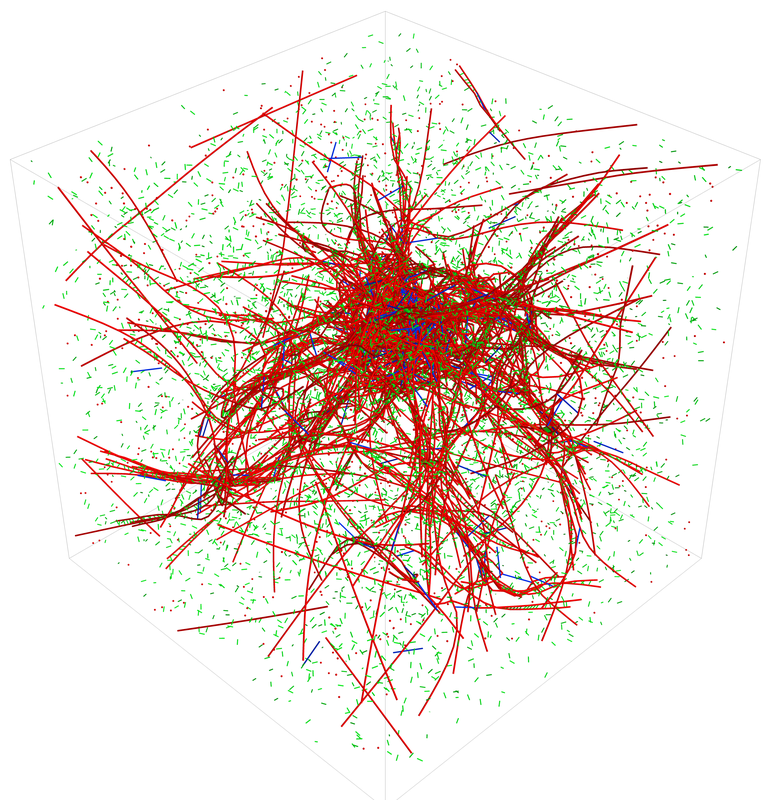 Welcome to the webpage of the MEDYAN, an efficient and scalable computational model for mechanochemical simulations of active matter networks created by the Papoian lab at the University of Maryland. This webpage contains documentation and examples for the MEDYAN software package, which is implemented in C++. The source code for this package is downloadable for scientific use. 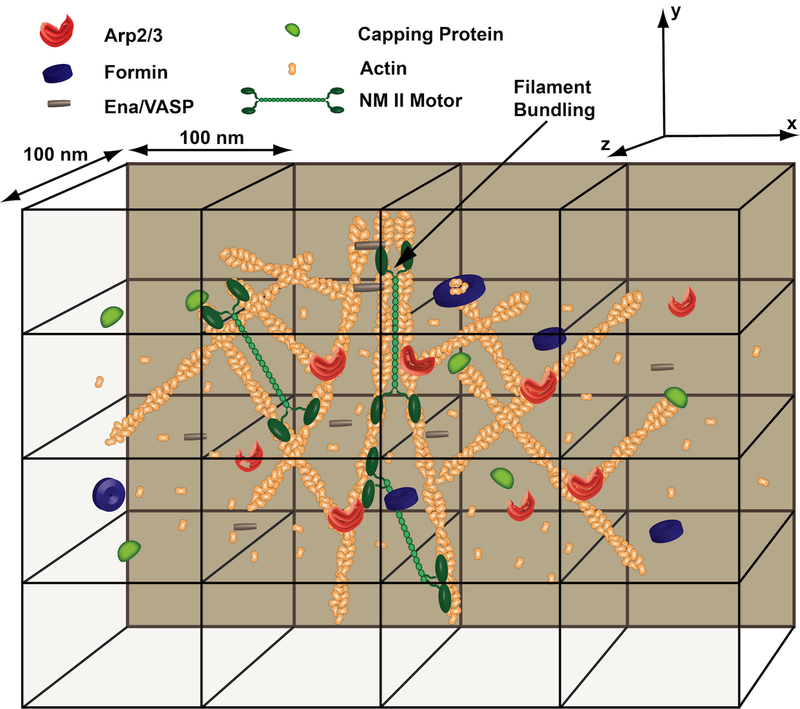 The cell cytoskeleton plays a key role in human biology and disease, contributing ubiquitously to such important processes as embryonic development, wound repair and cancer metastasis. The Papoian laboratory is interested in gaining deeper understanding of the physical chemistry behind these complex, far-from-equilibrium mechanochemical processes. April 2018 - Our paper titled Stochastic Ratcheting on a Funneled Energy Landscape Is Necessary for Highly Efficient Contractility of Actomyosin Force Dipoles was accepted in Phys Rev X.